CHILDREN: a son Caleb, born in 2003, and a daughter Adora, who arrived in 2005. Jonathan Jackson eased his way into show business with commercial work and local modeling. He landed the plum role of Lucky Spencer on GENERAL HOSPITAL in 1993 during a trip to California. “I auditioned Tuesday and Wednesday, then I tested for it Friday and I worked on Monday,” Jackson recalls. He soon became a fan favorite and part of the dynamic duo of Lucky and Liz. After six years on the soap, two Soap Opera Digest awards, six Daytime Emmy nominations and three Daytime Emmys for Younger Actor, Jackson decided it was time to move on. Over the years, Jackson has garnered roles in several films and television shows. Most recently he starred in TERMINATOR: THE SARAH CONNOR CHRONICLES as Kyle Reese. At the same time, Jackson has pursued his love of music and is currently lead singer in the band Enation, which has appeared on ONE TREE HILL. In 2002, Jackson married fellow GH alum Lisa Vultaggio (ex-Hannah) and settled in Washington state. They have two children: a son Caleb, born in 2003, and a daughter Adora, who arrived in 2005. Ten years since he left, Jackson agreed to reprise the role of Lucky on GH in 2009. This entailed relocating his family to California, which Jackson wasn’t worried about. “I lived in L.A. for a lot of my life, so it’s not like we’re going to some foreign place,” he said of the move. While Jackson may have been missing from Port Charles for nearly a decade, the character of Lucky has been on the canvas the whole time. GH head writer Robert Guza, Jr. told Digest that the soap is “very pleased that Jonathan Jackson is coming back. And we are taking full advantage of the chemistry he shares with Becky Herbst [Elizabeth].” Jackson’s official Web site is http://www.jonathanjackson.net. Starred in TV commercials when he was younger for Kellogg's Corn Pops cereal, McDonald's and Mattel. Founded a production company with his brother, and fellow actor, Richard Lee Jackson called Nine On The Breaks. Starred in a print ad for CK Calvin Klein in the late '90s. His Enation band members include his brother Richard, Daniel Sweatt and Michael Galeotti. Galeotti is the husband of Bethany Joy Galeotti (Hayley, ONE TREE HILL), who played Michelle on GUIDING LIGHT from 1998 to 2000. Birth name is Jonathan Stevens Jackson. A look back at the key players in Elizabeth’s romantic life on GH. The move to Nashville certainly agrees with Steve Burton (Dylan, Y&R), who wrote a song with his neighbor, Jonathan Jackson (Avery, NASHVILLE, ex-Lucky, GH), which airs on the September 23 episode of Y&R and is now available on iTunes. 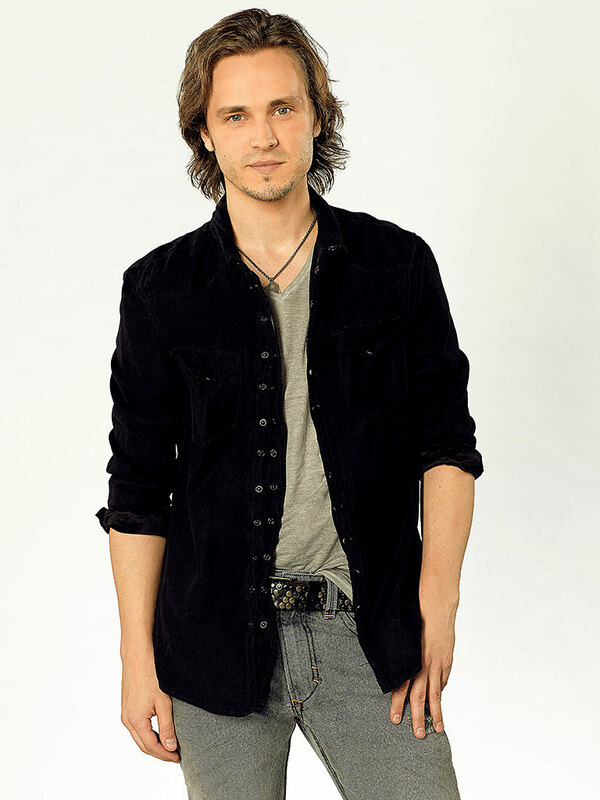 Digest has learned that Jonathan Jackson (Lucky) will be leaving his GH home in early 2012.